How ironic that Donald Trump’s obsessive effort to clear himself of the Russian problem has now led him to be investigated for obstruction of justice. Unfortunately, the President now admits that indeed he is under investigation and for obstruction. Trump’s attorney suggests Trump’s tweets should be ignored as to their factual basis and be treated as expression of sentiment and mental state. But his tweets are driving the media and may be admissible against interest. As the spate of Watergate retrospectives remind us (45-year anniversary), President Nixon had his tapes, which he thought would protect him and help his memoirs. 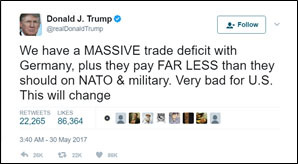 Trump has his tweets, which he believes are essential to correct the media, tell his version of reality and attack his opponents. But both tapes and tweets were the essential fuel for much of the media coverage and, as in the case of Nixon, the smoking gun for his resignation. More irony. 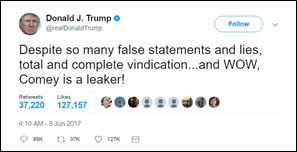 He hasn’t shifted much from his February 17th press conference where he said the “Leaks are real, the news is fake.” Imbedded in Trump’s tweet was the statement that he was under investigation, which appeared to confirm an anonymously sourced Washington Post article. His lawyers and associated defenders are now claiming the President isn’t under investigation. Time will tell as to Mr. Trump’s legal status. 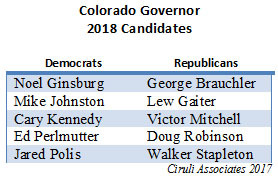 Colorado Republicans have both opportunities and challenges in an effort to win the Colorado governorship. 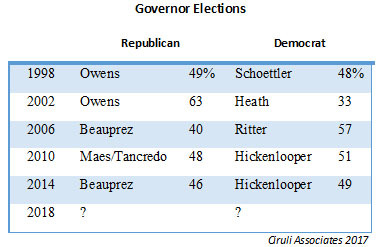 Governor elections in Colorado since 1998 have often been close. But Republicans must get through their own nomination process that in recent years has left them divided and not with their strongest general election candidates. But, as of today, their bigger problem is President Trump and Congress. In an off-year election, presidential popularity and a party’s general reputation can affect local races, even non-federal. Congressional accomplishments and the president’s appearance as fit for office will be a factor in turnout and voting preference. In a June 14 9KUSA noon interview with TaRhonda Thomas, the political impact of the shooting of Majority Whip Steve Scalise and four others was discussed. Congress was quickly reacting with a pause in the partisan rancor and reflection on the danger current political rhetoric has on unstable individuals. 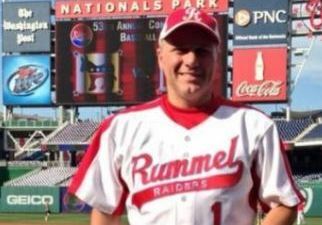 Congressional baseball is one of the few activities congresspersons interact socially between the parties. Hopeful, shooting won’t negatively affect it. Congress would be benefited with more bi-partisan social events. The attack will likely add calls for more security as members move about D.C. At home, Congress depends on local law enforcement, but only if there is an identifiable threat. One hates to see anymore separation of the political class from their constituents and voters. There has been an unusually tense period in American politics with the close and disputed election and polarizing impact of President Trump. Although a brief respite from the partisan wars would be welcome, it is unlikely to last long. The country and Congress are too divided with too much at stake to see a long-term change in strategies, tone and heated rhetoric. In 2011, when Congresswoman Gabby Giffords was shot, there was a moment of calm, but quickly the partisan battle started again. Almost immediately, finger-pointing began as to who was most responsible. Gun control versus gun rights groups were quickest to engage in blame-placing. Social media today, along with 24-hour cable news, ramps up the effort to use the shooting for partisan advantage. No doubt today presidential supporters and detractors; i.e., the alt-right and the resistance, will take to social media. Blame is assigned to the “left” as the shooter supported Bernie Sanders, and quickly Kathy Griffin’s bloody mask and New York Public Theater’s production of Julius Caesar were construed as causes of violence. Polis is the second congressman in the race. Congressman Ed Perlmutter, who announced several weeks ago, was considered the early frontrunner, but Polis will immediately challenge Perlmutter for frontrunner status. Polis will be seen as the most liberal candidate in the race and he will spend whatever it takes to win. He spent $6 million to win his congressional seat in 2008. Earlier, he had spent $1 million on state board of education seat. Polis is an anti-establishment politician with few political allies – Democrat or Republican. He has been the anti-party candidate in most of his career. He championed a ballot initiative (Amendment 41, 2006) to promote government ethics that was considered by many observers as extreme. 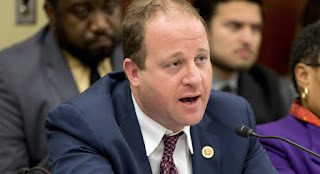 And, he became the champion and financier of anti-fracking forces, ending up in confrontation with the Democratic Governor John Hickenlooper and much of the Colorado Democratic Party establishment. But although he may antagonize the party establishment, he was one of the four outside party donors, along with national gay activist Tim Gill, heiress Pat Stryker and computer software millionaire Rutt Bridges, who bankrolled the Democratic Party into becoming competitive in Colorado politics beginning in 2004. He helped create a new Democratic Party. The success is considered a model for Democrats around the country. With the new primary rules where independents can vote (Proposition 108 passed in 2016), Polis is likely to target them, along with his Boulder and Larimer district constituents, environmental groups and anti-establishment liberals throughout the state. The primary is June 26 in 2018. The main challenge he will face is being seen as too far left and likely to lose a general election. Democratic Party leaders, especially Governor Hickenlooper, and party pragmatists are anxious to hold the seat. Also, Polis’s years of anti-establishment activism has left pockets of antagonists who will be happy to oppose his career move. Polis, no doubt, has polling that shows he and his brand of politics can win, but his congressional election experience is weak. He lost Larimer and Jefferson counties in 2014 against a little known, underfunded opponent. There will be a lot of sceptics of Polis’s electability. Bottom line: Strong primary candidate in crowded field with new rules for turnout. But, no general election record and controversial statewide image. Two congressmen decided to get out of Washington. Former lone frontrunner, Ed Perlmutter, must now share that position with Jared Polis. An interview with KOA anchors April Zesbaugh and Steffan Tubbs described the new race for governor. 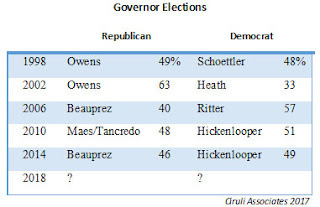 Although Democrats have a slight advantage, the governor’s race should be competitive. Both parties will have hard-fought primaries. This is a new experience for Democrats. $20 million could be spent in the primary by both parties. Jared Polis will spend whatever it takes to win. Several Republicans can raise more than $1 million for the race. The new rules on participation in party primaries could introduce new strategies to motivate independent voters. The primary is June 26, 2018, one year out. Social and digital media is becoming more important in campaigns. Which candidates can master it will create a new advantage. Also in the race is former State Senator Mike Johnston (raised $625,000 already), former State Treasurer Cary Kennedy and Denver businessman Noel Ginsburg. Republicans, who have had many winning campaigns for state attorney general, treasurer and secretary of state, believe 2018 is a year they can win the governorship. They have at least four candidates who should be able to raise significant contributions. George Brauchler, DA and prosecutor of the Aurora theatre shooter; Walter Stapleton, State Treasurer; Victor Mitchell, businessman; and Doug Robinson, nephew of Mitt Romney. If he needs to spend millions he will. Whatever it takes has been his approach. The Democratic primary will now move to the left, get more active and require more fundraising. 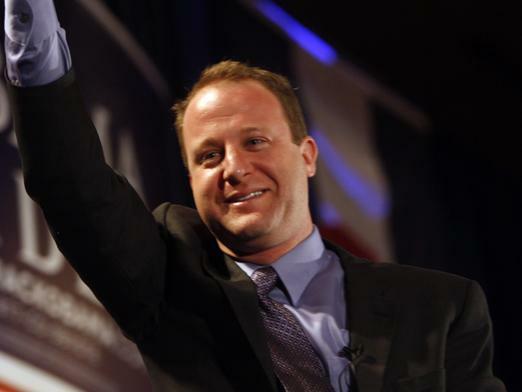 Polis’ major challenge will be to convince pragmatic Democrats that he can win a general election. 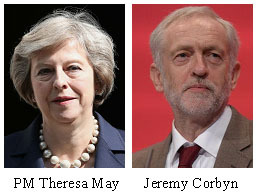 Conservative British Prime Ministers should stop calling elections. The Brexit referendum cost Prime Minister Cameron his position and this latest snap parliamentary election has ended Theresa May’s political clout, although she may remain in office for now. The youth vote, which failed to show up in the Brexit vote, came out in strength for Labour. They were mostly anti-Brexit and Labour offered a soft Brexit position (keep as many ties as possible, less harsh on immigration). May offered a hard exit from the EU. They also liked Labour’s anti-austerity positions. The Brexit fight may be over in terms of leaving the EU, but the disagreements on how to do it are just beginning. A panel of polling experts convened at the national conference of the American Association for Public Opinion Research (AAPOR) and reviewed the shifts in public opinion and successes and failures of marijuana legalization. National and California pollsters were represented. I provided a description of Colorado’s five-year experiment with recreational marijuana legalization and some of the emerging boundaries of public acceptance. Colorado is one of the oldest marijuana adopting states. But, acceptance of recreational marijuana is neither uniform nor universal. More than half the cities and counties do not allow retail sales and most of the public does not want expansion of sales. Each year for a decade, pro-marijuana legalization advocates rallied on April 20 in downtown Denver for a public smoke-in. But as the mayor of Denver and the Denver Post recently said, the party may be over. Their main point is that the drug is legal and a protest rally is irrelevant and counter-productive. The gathering itself, besides requiring strong police presence and park cleanup, reminds a lot of Coloradans what they don’t like about the legalization. Public smoking shows contempt for the law and dramatizes the constant effort to advance more usage. And, of course, the backdrop is that the new Trump administration is hostile to legalization and considering how to step up enforcement. The following editorial appeared in the Colorado Springs Gazette, June 11, 2017, and reflects the AAPOR presentation. A market rally that began November 9th and has broken through a couple of 1,000-point barriers is still on a roll at 21271, up 8 percent this year. President Trump has received, and takes whenever he can, much credit for the market’s movement. But as the market rises, Trump’s approval rating falls. His latest average rating in RealClearPolitics is 39 percent approval, with a number of polls out of the field on Tuesday, June 6th that have him between 34 to 40 percent. And although it’s too early to judge if former FBI Director Comey’s testimony will drive the polls down, the number of ongoing investigations by Congress and the Special Counsel will likely continue the controversy. Major challenge to the president is the gridlock that is affecting his legislative agenda, at least partially caused by the political space being taken by the collusion and obstruction investigations. It was initially assumed the stock market rally would accrue to the President’s benefit. And indeed there was general euphoria related to hope for improvements in the economy and jobs that appeared to be helping Trump. It reflected optimism, perhaps unrealistic, that health care and tax reform were doable in 2017. Possibly, even an infrastructure program had a chance. The market rally is now far more broad-based. The technology run-up is being accompanied by stock gains across the board. But, Trump support has narrowed. He still holds support from most rank and file Republicans, his fellow Republicans on the Hill and much of the business class. But, that produces only the 35 to 40 percent of support reported. He won’t be impeached, but there are many very nervous Republican incumbent congresspersons. Congress periodically produces hearings that change political history. 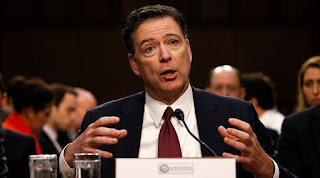 It’s not clear if the James Comey testimony before the Senate Select Intelligence Committee (June 8th) will just be another bizarre event in the first 140 days of the Trump presidency or if it produces more serious and long-term damage. Three recent high-profile congressional hearings had significant impact on the respective presidents. John Dean’s testimony was powerful in the Watergate crisis of President Nixon, but it was the existence of and then refusal to turn over tapes that led to Nixon’s resignation. President Reagan, with considerable help, survived Iran Contra, but his reputation was damaged. Oliver North’s career was launched. Republicans were seen as overreaching in the Lewinski impeachment and ended up losing seats in 1998 and Newt Gingrich his Speakership. Trump’s problems are mostly political. Even though he will survive the hearing and testimony, Comey reinforced what the majority of Americans already believe – Donald Trump is hiding something. Democrats have rage, but as of yet, no victories. In Kansas and Montana congressional replacement elections, they got close, but still lost. Some party leaders recognize the problem. Just being against Donald Trump is not enough. It will not win over independent and moderate swing votes. Also, the Democratic agenda must appeal to voters that are not part of the party’s core issue and identity politics. Unfortunately, the party lacks new leadership that appears capable of offering innovative directions or believable solutions. Joe Biden was an interesting candidate in the 1980s and 1990s, not in the 2020s; Nancy Pelosi should have retired in 2010; and Hillary Clinton may blame James Comey and the Russians, but it was her e-mail server and poorly conducted campaign that is mostly to blame for 2016 loss. And then there is Bernie Sanders, whose primary challenge did much to expose Clinton’s flaws, now offering his bankruptcy-inducing single-payer plan, which dominates the current Democratic Party’s health care debate. The party is moving dramatically left on issues, which will ill-position it for the 2018 or 2020 elections. Single-Payer. Rejected in Colorado (80% to 20%) as a massive tax increase for government-run health care and now proposed in California with no idea how to pay for the $400 billion price tag. Democratic Party leadership is moving rapidly to endorse it. Hydrocarbons. The party has moved from all-of-the-above energy sources and subsidies for renewables to full-out war against hydrocarbons. No contributions, no representation and no involvement from traditional energy industries, its constituents and dependent regions. Sanctuary Cities. Immigration reform or border security is no longer part of the Democratic discussion. How to thwart immigration enforcement is now the exclusive topic. $15 Minimum Wage. Forcing a federal minimum wage of $15 favored by labor leaders and poverty advocates is becoming the party’s official position. 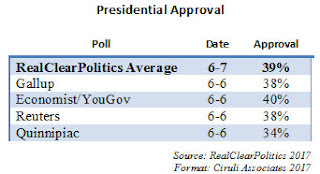 The Democratic Party should normally pick up seats in a new president’s first mid-term election. When a president is highly polarizing and at 40 percent approval, there is opportunity for sweeping gains. But, with few new leaders and a D.C.-driven agenda from the ideological left winning 24 House and 3 Senate seats and some new governorships could be much more difficult in 2018. Prime Minister Theresa May wanted to create a strong Tory majority to begin Brexit negotiations with the EU. When she announced the snap election in April, polls gave Conservatives a 17 percent advantage over Labour. Led by Jeremy Corbyn, the Labour Party looked hopelessly behind. But as of today, nearly all polls indicate a much closer election, albeit still a win for May. What happened? Campaigns matter. Reporting over the last eight weeks has described a number of mistakes by May and her party in terms of policy. She also has not shown herself to be a strong candidate, while Corbyn has improved in presentation and adapted the basic socialist “something for everyone” message. 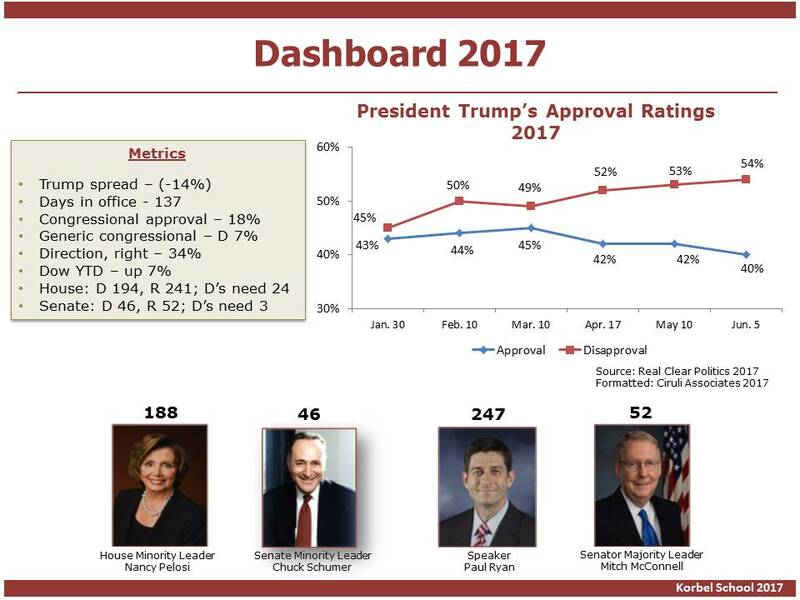 Establishment is still disliked. May and her conservatives represent the establishment and there is still considerable distrust and unfavorable attitudes toward the establishment. Not easy to control the topic. The Conservatives lost control of the narrative. Brexit and how to protect British interests was supposed to be the topics, but respective platforms of the parties have gotten considerable attention and now terrorism. The British are still divided. The country’s recent elections have been close. In an era of anger and resentment, getting someone to say yes to a governing majority is difficult. If May only survives a close vote, her clout and even longevity as leader will be damaged. As President Trump continues to accumulate adversaries (now add most of Europe) and languishes with his steadfast base of 35 to 40 percent of the electorate, new opponents are emerging who maybe more dangerous to his 2020 plans than the usual Democratic D.C. crowd. 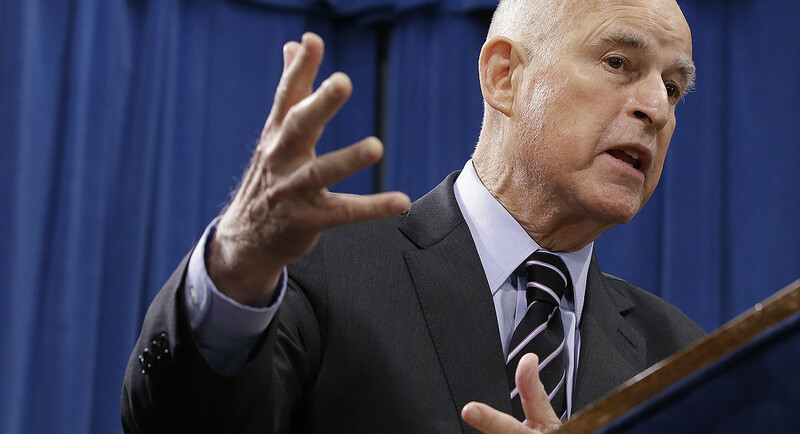 Jerry Brown, 79 years old, the term-limited Democratic governor of California is taking the lead position on climate change opposition. He has a credible track record on the issue, is governor of the largest state, and is moving to organize a defense of the accord and call for local action. He is going to China (a new leader on climate change) and talking to a host of governors and other political leaders about a climate change summit. Brown is a special problem for Trump and Republicans because he is not the typical Democratic Party leader. Democratic governors tend to be more responsible on finances and less radical in their partisan rhetoric. Brown, for example, is usually the adult in the room for his Democratic, interest group-dominated state legislature. Even his approach to Trump and his administration tends to be less resistance rage and more calm opposition. Although Dianne Feinstein’s (83 years old) senate seat may be open in 2018, he’s unlikely to consider it. But even without an office, he is a potent adversary for Trump and the environmental agenda. 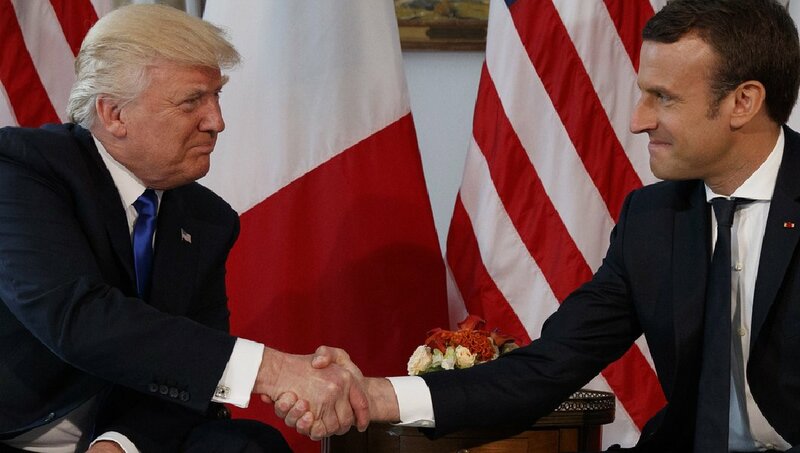 Both the optics and the reaction to President Donald Trump’s nine-day trip to the Middle East and Europe highlight that there was, in fact, two very distinct outings. 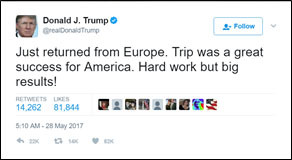 Even Trump made clear how much he enjoyed the Riyadh and Jerusalem visits and was bored and uncomfortable in Brussels and Taormina. The trip’s dissimilarities corresponded to Trump’s different values, preferences and approaches. As described in a previous blog, Staging the First 100 Days from The White House, much of what Trump does is to reverse Barack Obama’s policies, rhetoric and actions. The Middle East was the perfect platform to be the “un-Obama.” Obama’s policies toward Iran, Syria and Israel were not liked by most of the major players in the region. Trump reversed them. In Europe, Obama was mostly appreciated, at least west of the Danube. Germany, France, Italy and Brussels shared Obama’s global and high-minded values and mostly supported his restrained policies. Trump’s hostility to the climate change agreement inverted Obama’s position and it won him no admiration. Trump is a bilateral negotiator. He doesn’t do groups. NATO and the EU are complex and collaborative. He likes the simple single-party deal. The Saudis and Israelis were generous hosts, and he brought arms to the Saudis and anti-Iranian rhetoric and much symbolism from sword dances to wailing walls. In Europe, he was only one of many following in a golf cart. Trump is more comfortable with kings, dictators and leaders with very secure majorities who operate autocratically. The politicians of Europe often depend on coalitions to govern and regularly attend to democratic politics. Trump prefers the royals. As a nationalist, Trump has some support in Eastern Europe, but little in the West. His emphasis on sovereignty and lack of interest in human rights fits well with the Middle Eastern states’ preferences, but his hostility to established alliances and regional governance was an anathema in Brussels. Like a royal, Trump dislikes press conferences. It’s harder and more obvious to avoid the press among peer presidents, chancellors and prime ministers than it is among kings and autocrats. This was nine days with the press at bay and an unprecedented trip without a conference. “Recent days have shown me that the times when we could rely completely on others are over to a certain extent,” Merkel said. “We also know that we Europeans must really take our fate into our own hands. . . . 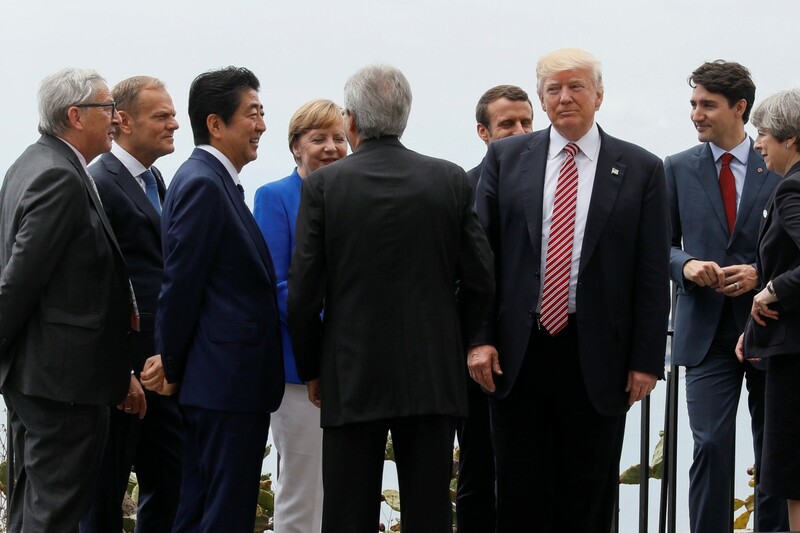 It became clear at the G7, when there was no agreement with the USA, how long and rocky this path would be. I think it was good not to gloss over the differences,” she added. "Donald Trump, the Turkish president or the Russian president see relationships in terms of balance of power. That doesn't bother me. I don't believe in diplomacy by public abuse, but in my bilateral dialogues. I won't let anything pass. He said that a leader must show that they will not ‘make small concessions, even symbolic ones’ or over publicize their achievements." 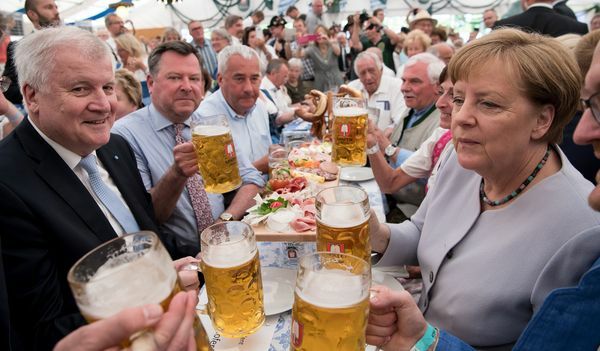 Chancellor Merkel is campaigning. Trump is highly disliked by the German public and its elites. Her opponent, a social democrat, makes attacking Trump one of his main campaign strategies. 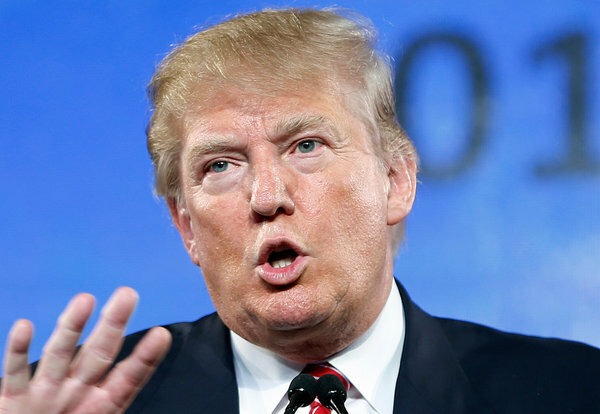 Trump is seen as somewhere between dangerous or a buffoon in the capitals of Europe. Of course, like in America, there are blocs of nationalist leaders and publics that identify with his views. But, they are not dominant in the West. The upshot of this awakening is that American foreign policy objectives that even slightly misalign with European interests could come in for condemnation, including in the U.N. Security Council. Also, expect Europe, especially Germany, as Merkel articulated, to start thinking seriously about an independent defense – indeed Trump is helping make NATO obsolete. Dean Christopher Hill and Crossley Center Director, Floyd Ciruli, teamed up to present an assessment and discussion on the First 100 Days of the Trump administration. A record crowd of 280 filled Maglione Hall on May 1 for the two hour session. The talk was the second sponsored by the Korbel School since the extraordinary election of Donald Trump. On November 9, the day after the election, Hill and Ciruli presented an early deconstructed what happened and offered some initial predictions. In this latest talk, the high and low points of Donald Trump’s first 100 days in office were assessed, especially as related to foreign policy.